The best way to make children behave properly would be to remind them about Santa Claus and Christmas. After all, only the good ones get the presents right? If they still wouldn't listen, here is a list of mythical creatures visiting this Christmas to change their mind. And not all of them plan on giving gifts. Let us start this list with a nice guy. 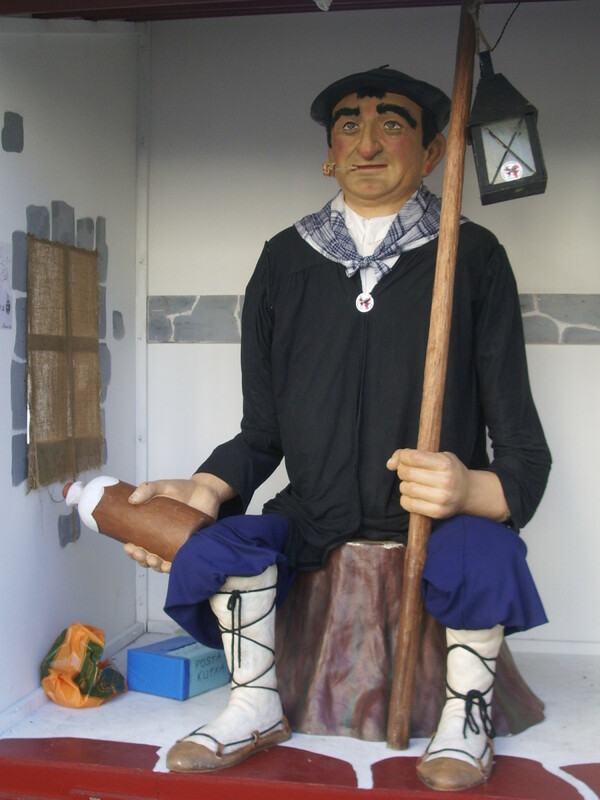 Olentzero is a character from the Basque Country legend. He is the equivalent of Santa Claus. The word Olentzero literally means "time of the good ones". It is said that on the night of the 24th of December Olentzero visits the houses of the people to drop off presents for children. Legend has it that Olentzero was one of the Jentillak, a mythological race of Basque giants. One day there was a very bright cloud in the sky and no one could see it except Olentzero who was very old and nearly blind. He confirmed that to be the sign of the birth of Jesus Christ and so he asked the giants to throw him off the cliff to avoid Christianisation. However, the giants tripped and fell and Olentzero was the only one left alive and embraced Christianity. The Mari Lwyd is a folk tale from South Wales. 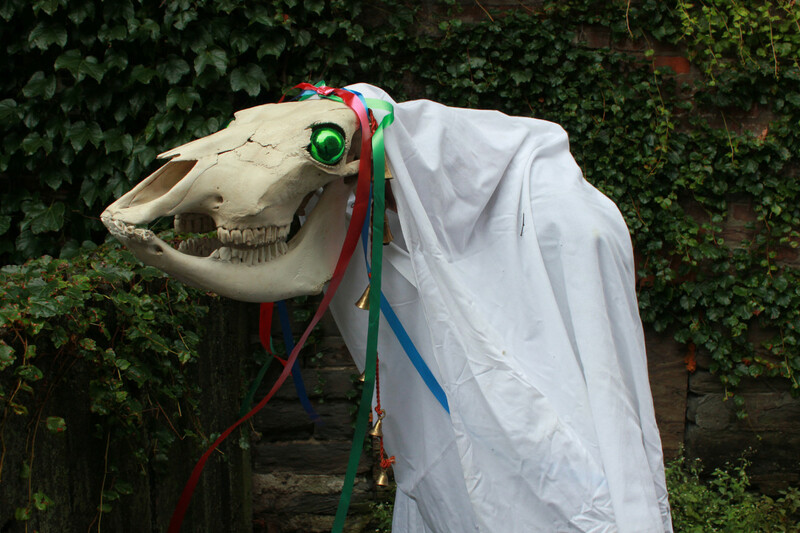 According to tradition, the Mari Lwyd consists of a horse's skull mounted on a pole carried by an individual hidden under a sackcloth. 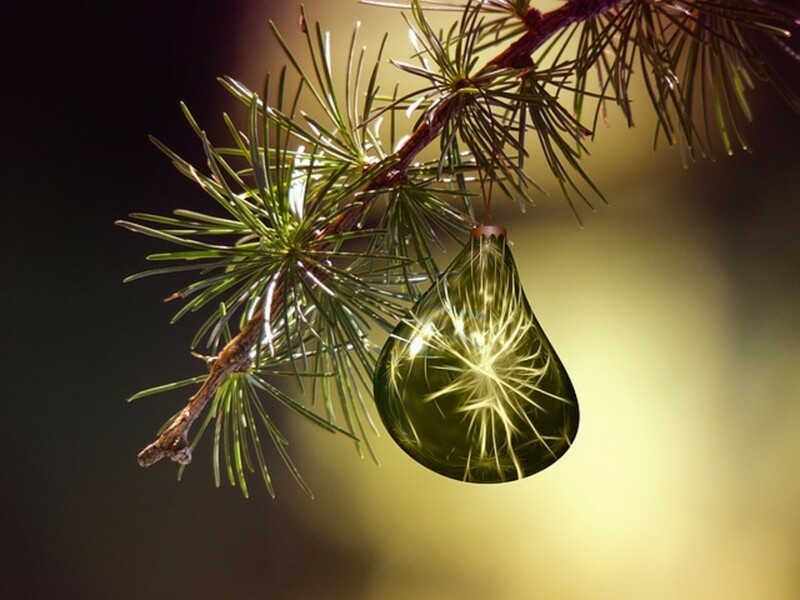 This custom is observed to mark the passing of the darkest days of winter. This is the reason why it overlaps with the celebration of Christmas. The Mari Lwyd party usually consists of four to seven men with colored ribbons attached to their dress. The party would approach a house singing a song to request entry. The inhabitants of the house would then give some excuse as to why they cant enter which would be followed by another song till they run out of excuses. Once inside the Mari Lwyd would then cause havoc and scare the children inside while the party would try to restrain it. 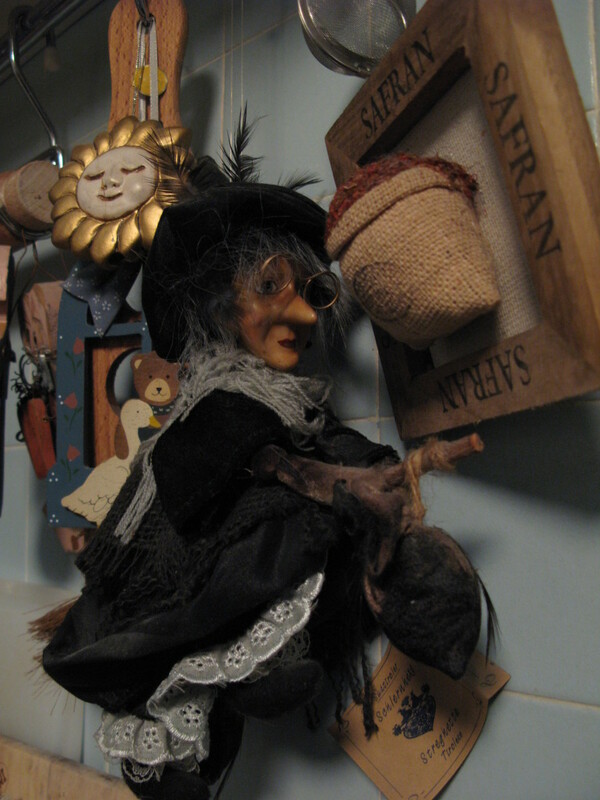 Befana is part of an Italian folklore. She is an old woman who delivers gifts to Children on Epiphany Eve which is on January 5th. Befana is portrayed as a hag riding a broomstick wearing a black shawl. She visits each house and leaves candy and fruits for good children while leaving coal, onions or garlic for the bad ones. According to Christian legend Befana was approached by the three biblical magi who were in search of Jesus. She did not know where he was but provided them shelter for the night. She, however, refused there offer to join them in their search for Jesus. She later had a change of heart and searched for baby Jesus but never found him until this day. She continues to search for him and leaves gifts for children who are well behaved. Perchta, also known as Berchta was once a pagan goddess. Her name means "the bright one". She may appear in the form of a beautiful woman who is as white as snow or an old hag with tattered and torn clothes. She also has one large foot which signifies that she could shapeshift into any animal. 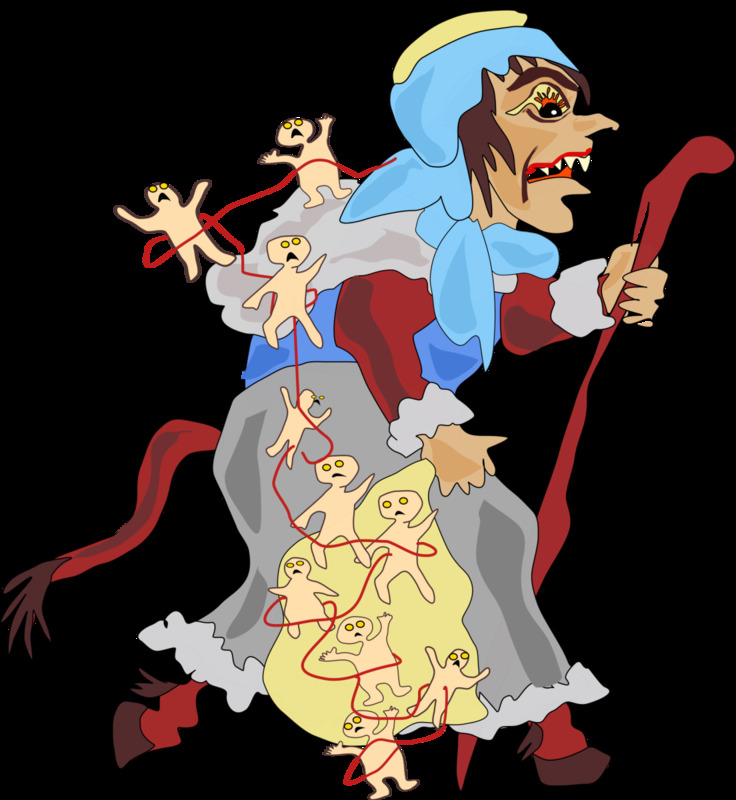 Perchta is the upholder of cultural taboos. During the time between Christmas and Epiphany, she roams the countryside to enter homes. If the children are well behaved she leaves a small silver coin in a shoe. Seems good right? No. If the children had not behaved properly that year she would slit their bellies and remove their stomach and guts. Then she would stuff them with straw and pebbles! This should be enough motivation to be good. Grýla is a mythical giant who lives in the mountains of Iceland. Grýla is said to have been married three times and her third husband is living with her in their cave with their children and the Yule Cat. In many stories, she is depicted as threatening children and even her name means "threat" or "threatening". She has the ability to detect children who misbehaved year-round. During the time of Christmas, she goes to nearby towns in search of her "meal". Her favorite snack is children. She leaves her cave to search for naughty children and it is said that there is never a shortage of food for her. Oh, and her favorite dish is a stew made of naughty children. The Yule lads are the children of Gryla. 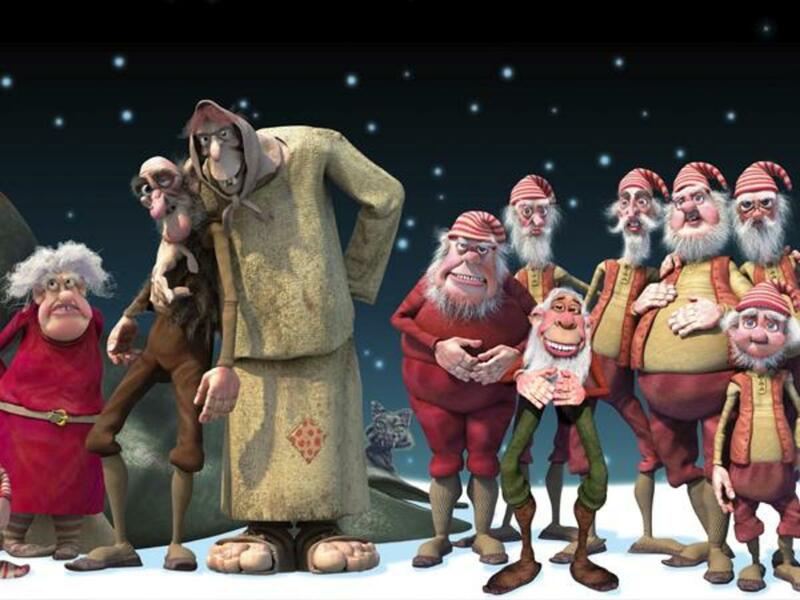 There are a total of 13 Yule Lads. They are the depiction of Santa Claus in Icelandic folklore. They visit the houses of children on Christmas to leave give rewards or punishments to them based on their behavior. 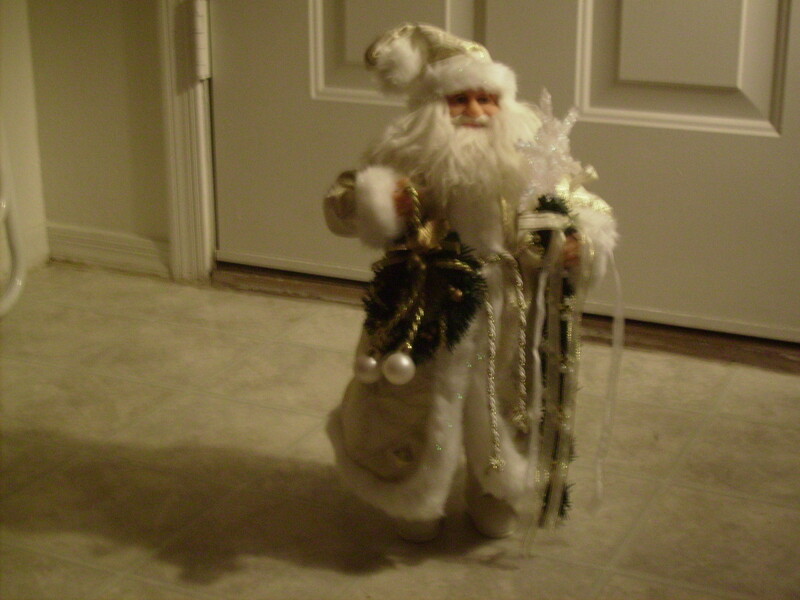 One Yuletide lad visits each child and leaves gifts or rotting potatoes according to their behavior. The Yuletide lads are portrayed as a mischevious or criminal who steal or otherwise harass the population. The Yuletide lads come to town on the last 13 nights before Christmas. Each Yuletide lad is said to have a specific idiosyncrasy and will behave in that specific manner. The Yule cat is said to be the pet of the giantess Grýla and her children the 13 Yule Lads. 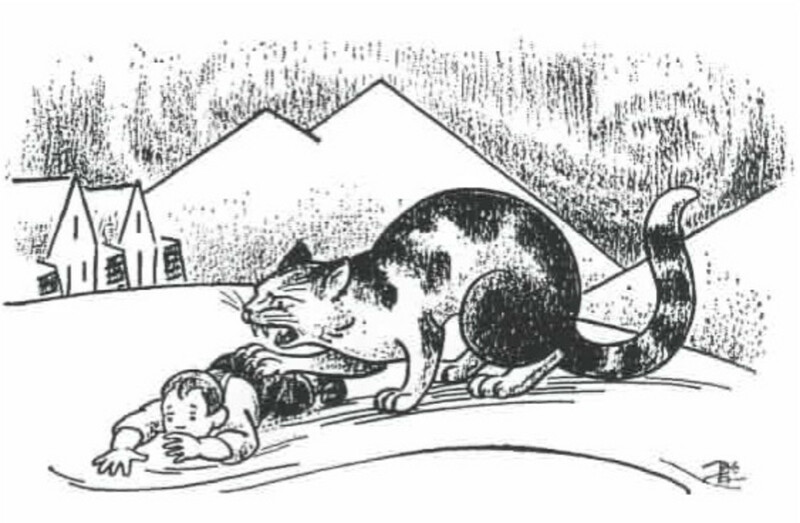 The Yule cat is a huge and vicious cat that roams the snowy countryside during Christmas. It is said to devour children who have not received any new clothes on Christmas Eve. This threat of being eaten by the cat was used by farmers as an incentive for their workers to finish processing the wool before Christmas. Those who helped will be provided with clothes whereas the others would not be rewarded allowing them to be devoured by the Yule Cat. Another interpretation states that the cat does not kill them but eats all their food instead. Belsnickel is a fur covered Christmas gift-bringer from the folklore of the Palatinate region of southwestern Germany. He is depicted as a man covered in fur and with a long tongue. He wears dirty torn clothes and carries a whip in his hand to beat naughty children. He also carries pocketsful of cakes, candies, and nuts for good children. 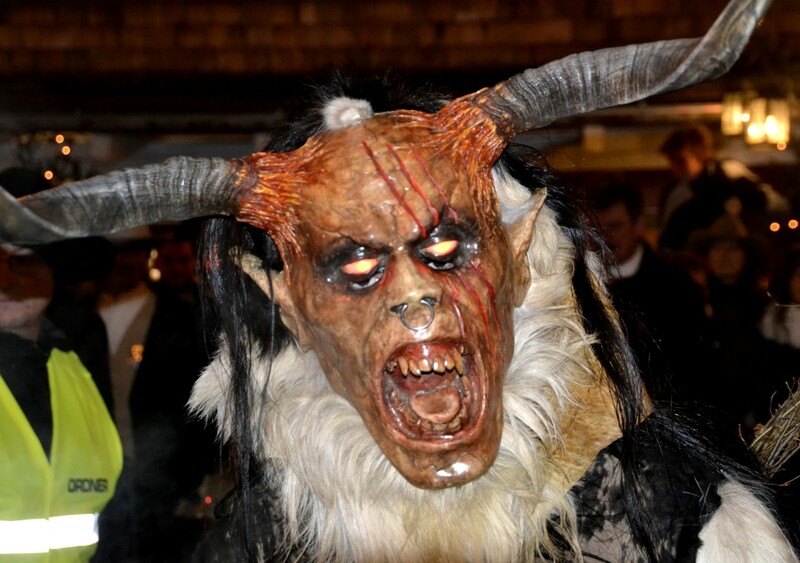 Krampus is a horned creature which is half-goat and half-demon. He is said to be a companion of Belsnickel or Santa in respective cultures. 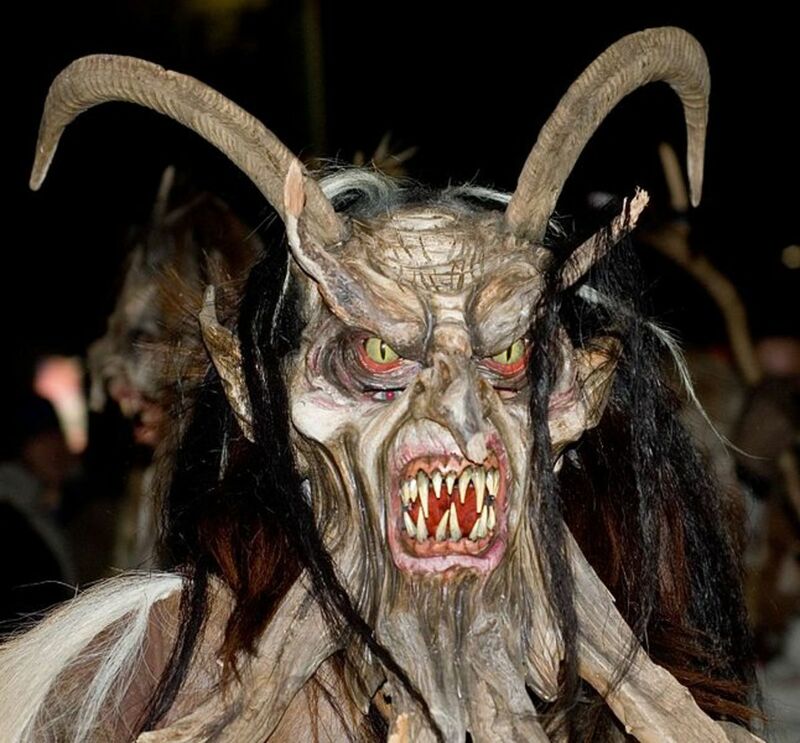 Unlike Santa who rewards good children, the Krampus is tasked with punishing bad children. He is said to be hairy with fangs and a long pointy tongue. He carries a basket for carrying evil children for drowning, eating or transporting to hell itself! Hans Trapp is a legendary character from the Alsace and Lorraine region of France. He is said to be an accomplice of Santa Claus. 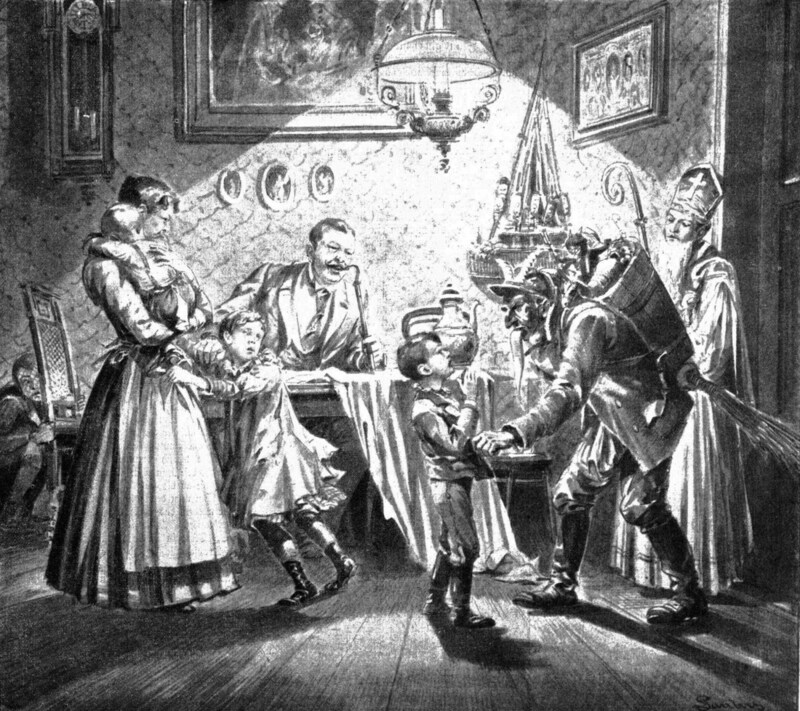 Similar to the Krampus, the role of Hans is to punish naughty children at Christmas. The words, "Hans Trapp is coming" sends shivers down the spine of children in France. Everyone knows the tale of Santa's evil accomplice. According to legend, during the fifteenth century, there was a wealthy man called Hans Trapp who lived in Alsace. The people of the region knew that he was cunning, cruel and heartless. It is said that he worshipped Satan and using black magic to obtain his wealth. He was arrested by the church and his wealth was confiscated. As he wandered in solitude he was overcome with anger. He started to lose his mind and craved for human flesh. He killed a young shepherd boy and as he was about to consume his flesh he was struck by lightning and he died. 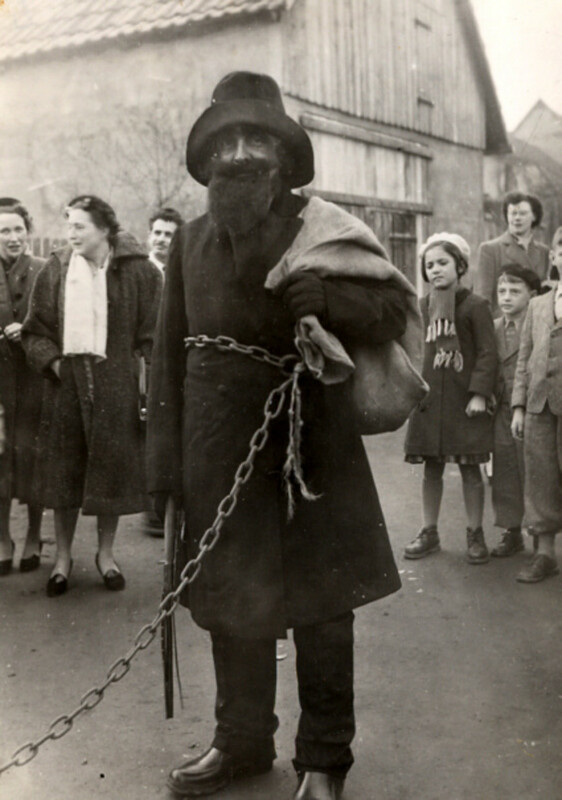 Père Fouettard is also said to be an accomplice of Santa Claus. 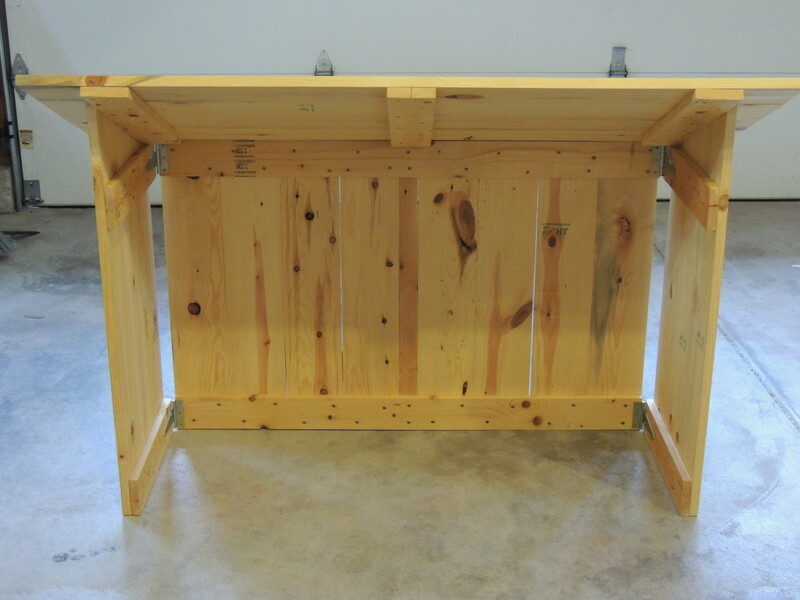 This tale is from the far north and eastern regions of France. He is said to give lumps of coal or floggings to children who misbehaved. The "Whipping Father" is said to have a sinister face with unkempt hair and carrying a whip or stick to beat children. Legend has it that Le Père Fouettard was an innkeeper who captured three boys who appeared to be wealthy. He then kills and robs them. It is said that he drugs them, slits their throat, cuts them into pieces and stews them. Santa Claus came to know about this and resurrects them. Père Fouettard then joins Santa as his accomplice to atone for his sin. We have all heard about Werewolves. 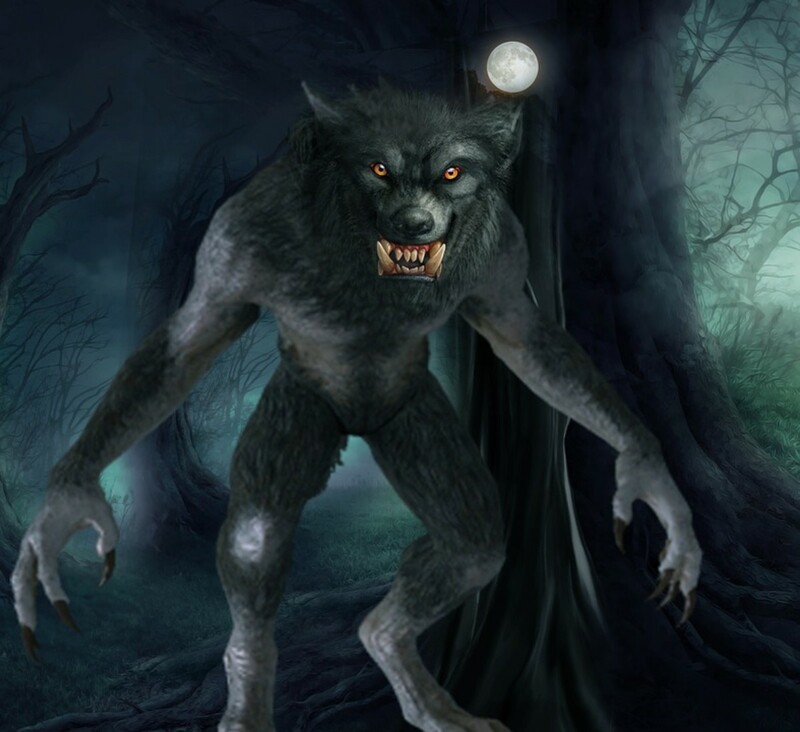 A Werewolf is a legendary human with the ability to shapeshift into a wolf. Werewolves are also related to Christmas in many ways. It is widely believed as the hour of Christmas drew near, the forces of evil also raged more. In Prussia, Livonia, and Lithuania it is believed that Werewolves gather around Christmas to attack human settlements. In Latvia and Estonia, it is believed that a Christmas boy lame of legs goes around recruiting demon followers. Those who join reluctantly are then turned into Werewolves using an iron whip. In Poland and northeastern Europe if a child is born on Christmas day then he is more likely to become a Werewolf. This is because it is said to be audacious to have the same birthday as that of Jesus Christ. 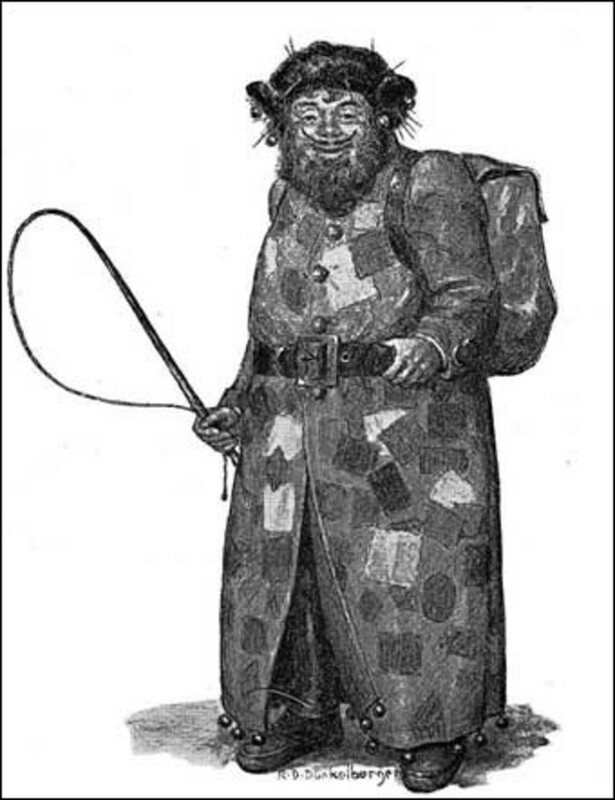 Knecht Ruprecht is a companion of Santa in German folklore. He was supposed to be the most familiar accomplice of Santa in Germany. Following the good cop- bad cop routine again, Knecht Ruprecht would threaten to thrash or abduct naughty children on Christmas. Ruprecht was a raised from his childhood by Santa. 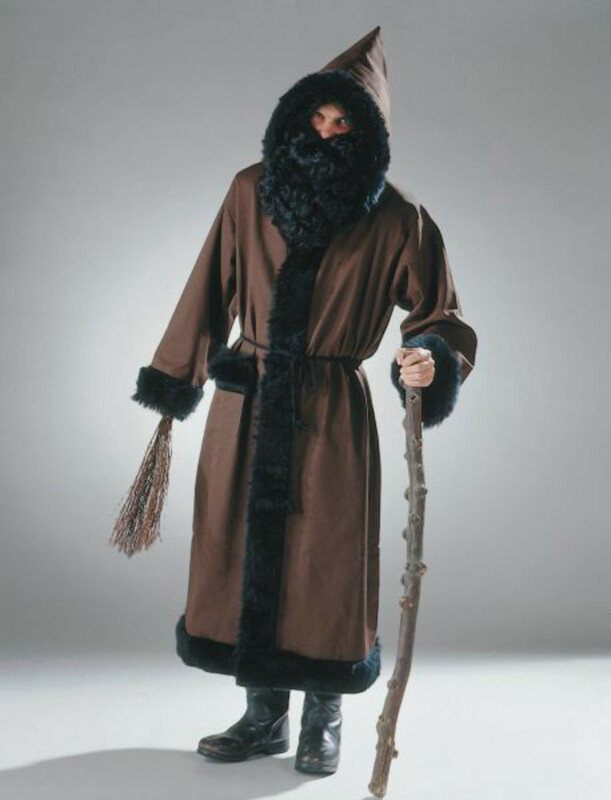 He wears a black and brown robe with a pointed hood. He limps when he walks due to a childhood injury. He carries a long staff and bag of ashes. During Christmas, he goes around asking the children if they can pray. If they say yes then he gives them apples, nuts, and gingerbread. If they say no he hits them with his bag of ashes. It's the countdown to Christmas, so discover a new festive character every day with this list of Christmas creatures, from Rudolph to Krampus. 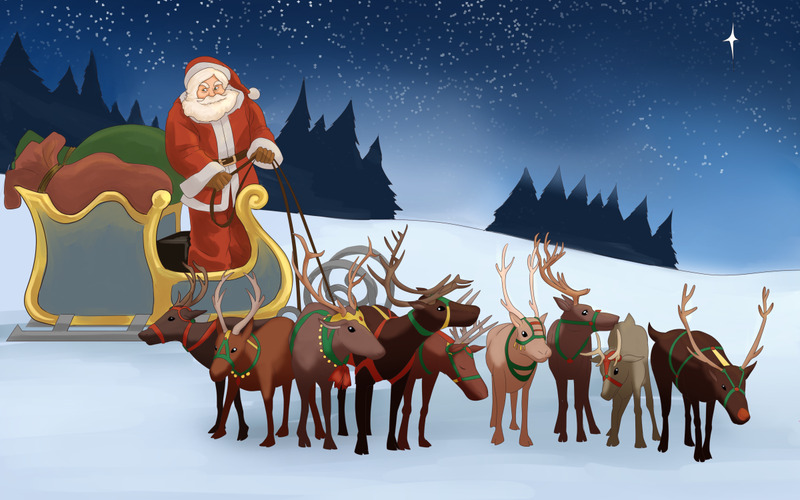 Is It Good or Bad to Tell Children That Santa Claus Is a Myth?